What's near BEIGE in London West End? Beige's central London store is located in the oasis that is Marylebone Village in London's West End. 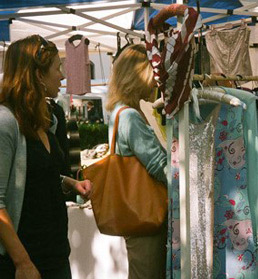 Marylebone Village offers a peaceful and very English shopping experience in the heart of a modern cosmopolitan city. Our sea of tranquility is a few minutes walk from the bustle of Oxford St, the luxury heaven that is Bond Street and of course, South Molton St, home to the iconic designer store Browns. 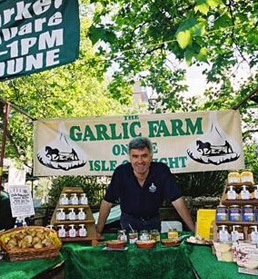 Marylebone Village caters to the discerning shopper and provides an electric range of shops as well as a weekly farmers market on Sundays, and on Saturday morning the craft market 'Cabbages and Frocks' which is held in the grounds of St Mary's Church. 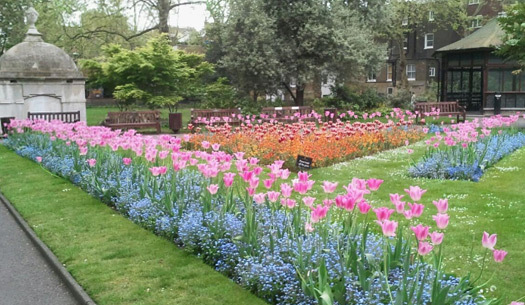 The Marylebone area is seeped in history with panoply of things to do and see. Just across the street from Beige is Westmoreland St where you will find the Nordic Bakey - Locating the bakery won't be a problem as using your sense of smell alone will lead you to its front door as the warm comforting aroma of cinnamon pervades the air. On the corner opposite is Fat of the Land, a fabulous tapas bar selling fine find and wine as well as great coffee. Back in New Cavendish Street and down to number 18 you will find top hair and beauty salon Atherton Cox. Directly opposite is Margaret Dabbs a spa devoted to feet, which at the end of a hectic days shopping could be just the ticket. 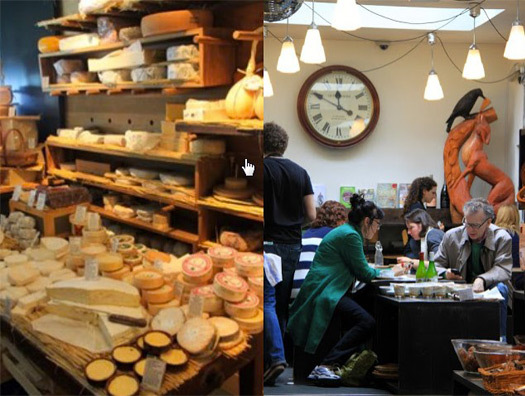 When you arrive in Marylebone High St you should take some time to visit a one of London's few shops dedicated to cheese, La Fromagerie... it's located in Moxon St, next door to renowned organic butcher The Ginger pig. At the other end of the High St from Moxon St is George St which will lead you down to Manchester Sq and the home of the Wallace Collection which is used in an historic town house which once belonged to Sir Richard Wallace the illegitimate son of Richard Seymour Conway, 4th Marquess of Hereford the original owner of the collection and the house. 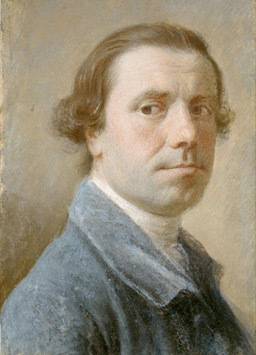 In its 25 galleries are unsurpassed displays of French 18th century painting, furniture and porcelain. Within its walls you will find portraits of a famous courtesan, Mrs Mary Robinson, more commonly known as 'Perdita,' painted by Romney and Gainsborough. You will also find the famous Laughing Cavalier by Hals. Mrs Robinson's autobiography is available to buy in the museum shop and well worth reading during your visit to London. Just off Manchester Square is Spanish Place where you will find the salon of Eve Lom the world renowned beauty expert. Just off George St is Chiltern St where you will find specialist shoe shops such as Crispin's, Mangus, and Totally. Chiltern Street is an interesting surprise, tucked away behind Baker Street (perhaps 7 minutes walk from Sherlock Holmes house is a small enclave of specialist bridal stores, beauty salons and top London hairdresses Billi Currie. While here, you might treat the man in your life to something special from Cadenhead's - an exclusive whisky shop offering tastings of some of Scotland's best kept secrets. After all that shopping and culture you might be feeling a bit peckish or in need of a cup of tea or a stiff drink. 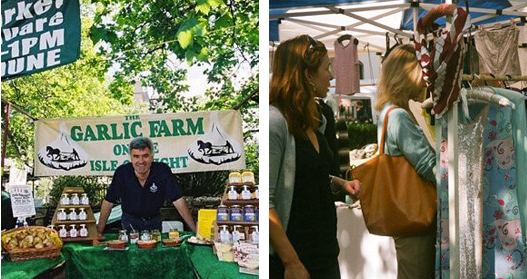 Marylebone Village offers everything from gourmet cuisine to a quick snack or an exotic cocktail. For something a bit different try visiting PURL - a cocktail bar in the style of a speakeasy, small but perfectly formed, best to book. On the Marylebone High St itself you will find The Providores & Tapa Room. On the ground floor is the Tapa Room, a casual, buzzy space where you get top-quality coffee, New Zealand wines and an all-day menu of small plates. Upstairs is the more formal but still intimate Providores restaurant. At the other end of the high street is French restaurant Orrey - a serene an elegant dinning experience, which provides dining on a rooftop terrace in the summer. If you love seafood then there is no better place to eat than Fishworks on the High St. You can even buy some fish to take home with you from their fish shop on the ground floor. If you just fancy a quick bite or a nice cake with a cup of tea try the famous Patisserie Valerie. 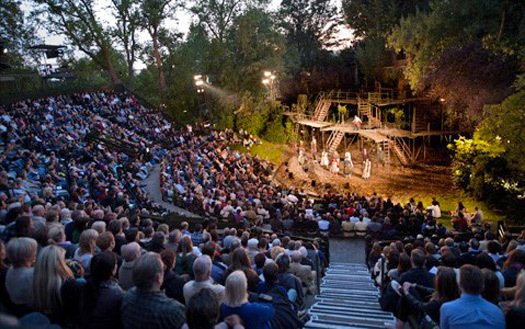 After shopping, you might be comtemplating a visit to the theatre? For a very differ- ent theatrical experience try the Cockpit Theatre - based in near Marylebone Station, or Theatre Delicatessens based in Marylebone High St.
Further along Marylebone Road is Madam Tussauds and the Planetarium. 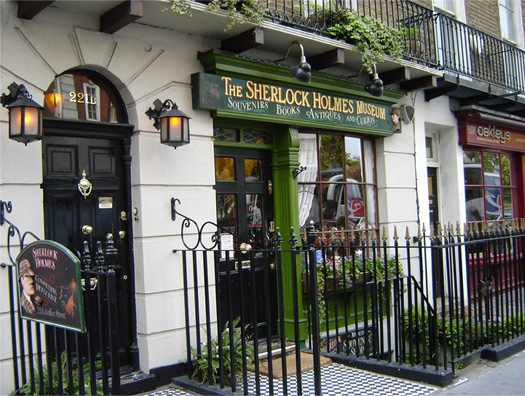 You can also hop on one of the many sight-seeing bus tours at Baker St tube station, or pop around the corner to see the famous address of the fictional detective Sherlock Holmes, reinvented by Benedict Cumberbatch, at 221B Baker St. There are many great places to stay in the area including the quintessentially English hostelry Durrants Hotel George St. Owned by the Miller family since 1921. 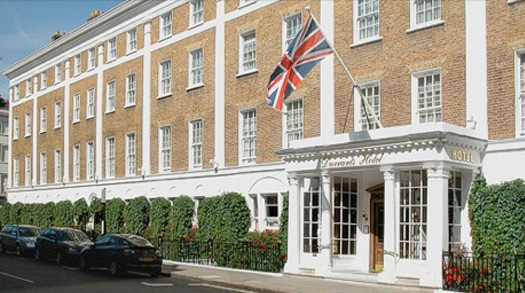 Durrants is one of the last privately owned hotels in London. This discreet Georgian townhouse was first opened in 1790. The hotel also has a restaurant and lounge areas where you can order a light lunch or afternoon tea. The George Bar is perfect for a light lunch or a quiet drink after a busy day. All the food and drink areas are open to the public. Another unique hotel in the area is No 10 Manchester St. a boutique hotel it is housed in a beautiful Edwardian building. No 10 has a restaurant, serves afternoon tea and is home to an exclusive cigar shop and indoor tasting room with an all-weather cigar terrace. 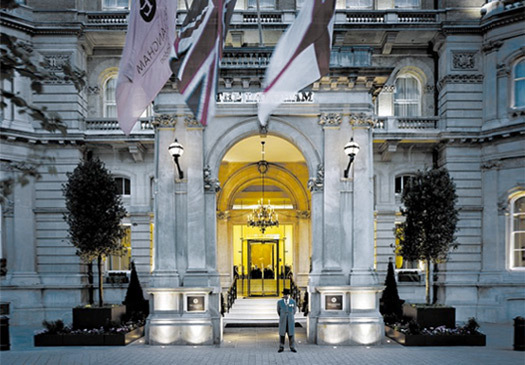 Further up from Beige in Portland Place is The Langham, one of London's premier Hotels and the place where Lady Gaga stays when she visits London. If you are looking for something with a modern decor The Marylebone Hotel, which is located in Welbeck St. just around the corner from Beige, comes highly recommended. This hotel is part of the Doyle chain which also includes The Westbury. The Brassiere 108 is part of the hotel but is also open to the public and has an enterance in Marylebone Lane the birth place of the original Marylebone Village. 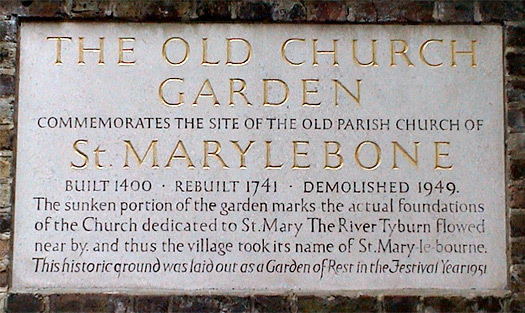 Marylebone Village was originally located at the junction of Marylebone Lane and Oxford St by the bridge over the Tyburn stream. The area had taken its name from the stream and is recorded in The Doomsday book of 1086. The land has been leased to a number of tennants over the years until 1538 when Henry VIII created a royal hunting park to the north of the area now known as Regents Park. 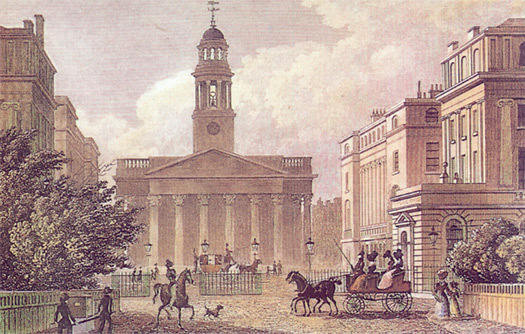 THe hunting lodge for the park used by Henry VIII and Elizabeth I was at the top end of what is now Marylebone High St. The site is now home to one of the specalist hostpitals for which the area is renowned. Tyburn manor remained with the Crown until the southern part was sold in 1611 by James I, who reatied the deer park, to Edward Forest who had held it as a fixed rental under Elizabeth I. 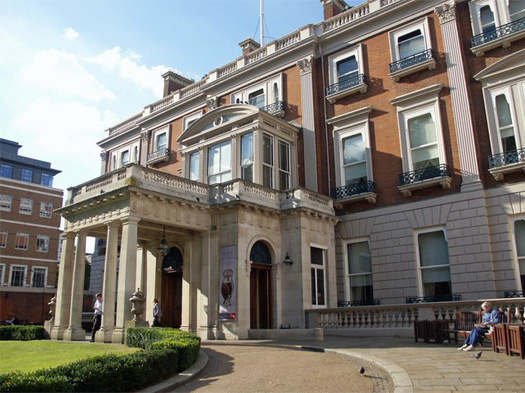 Forest's manor of Marylebone then passed by marriage into the family of Austen. The deer park, Marylebone Fields, was let out in small holdings for hay and dairy produce. 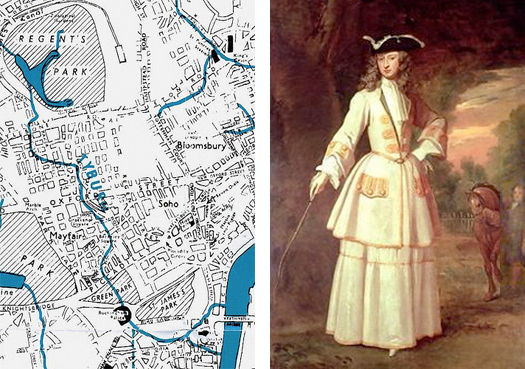 In 1708 the Duke of Newcastle purchased the estate for £17,500. In 1711, the estate passed to the Duke of Newcastle's daughter, Henrietta Cavendish Holles who married Edward Harley 2nd Earl of Oxford. Together they created Cavendish Sq. 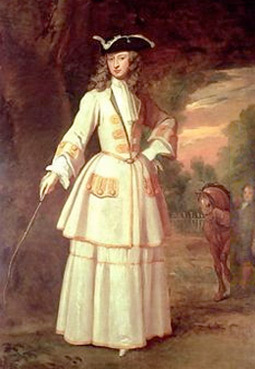 After Edward Harley's death the estate passed to his daughter, Margret Cavendish Harley who married the 2nd Duke of Portland. Building continued and today's tall dignified Georgian houses began to emerge. 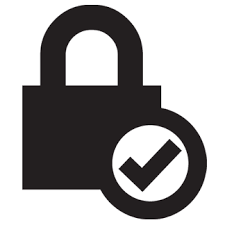 Harley St, Portland Place and Wimpole St are perhaps the best known. Most of the streets in the area take their names from the original families who owed the estate. The estates name changed from The Portland Estate to De Walden when the 5th Duke died and having no children passed the estate onto his sister who was married to the 6th Baron Howard de Walden. Today the estate covers more than 90 acres; ownership and control remain within the Howard de Walden family. The rich, famous and infamous have left their mark on Marylebone and English Herigate's blue plaques can be seen everywhere. Marylebone can even boast having the first commemorative plaque ever erected in 1867 to mark Byron's birth place at 24 Holles St, unfortunately the house and the plaque have long egone. But if you visit the old parish church in the High St you will see a plaque marking the occasion of his christening in the church as well as that of Horatia, daughter of Nelson and Lady Hamilton. 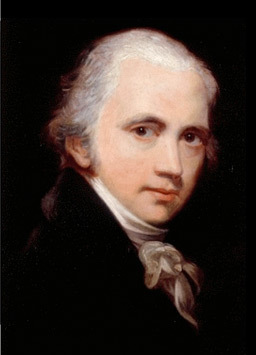 Nelson himself lived briefly at several addresses on the estate. Those married here were the dramatist Richard Brinsley Sheriden, in 1773 and at an erlier church on the site, Francis Bacon, Lord Chancellor and philosopher, was married in 1606. Humphrey Wanley, who looked after Lord Harley's famous library was buried here in 1726 as was James Figg, who ran the Boarded House a boxing establishment near Wells St in 1734. The great hymn writer Charles Wesley was also buried here in 1796. 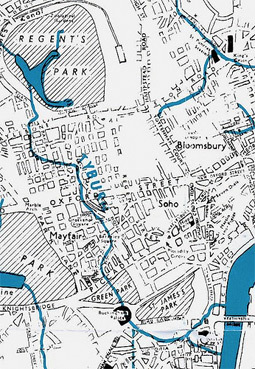 Marylebone has been home to London's rich and ramous over the centuries. 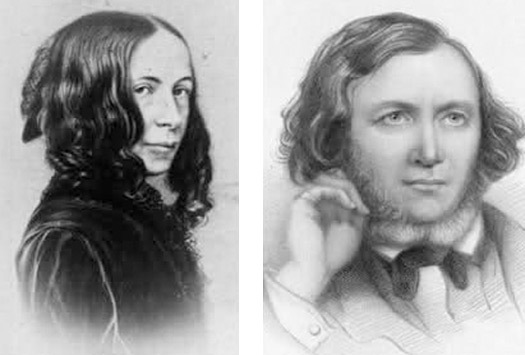 Luminaries such as Anthony Trollope at 34 Wellbeck St, Elizabeth Barrett Browning at 50 Wimpole St. who married Robert Browning in St Marylebone Parish Church (see picture on the left. 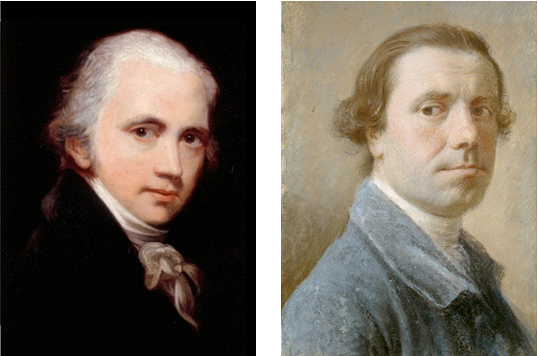 Sir William Beechey, the famous royal portrait painter, and Allan Ramsay, artist and abolitionist lived here at 13 and 45 Harley St respectively. JMW Turner, had a house at 35 Harley St and later at 46. He also built a gallery at 23 Queen Anne St, currently the site of the Howard De Walden Estates offices. In the 1960's the area attracted many of the movrs and shakers of the time. Paul McCartney resided at 57 Wimpole St with his girlfriend Jane Asher from 1964-66, and on a piano in the basement wrote 'I Want to Hold Your Hand' with John Lennon. 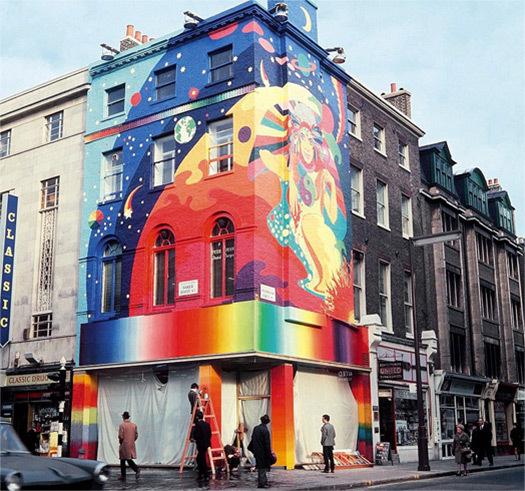 John Lennon also had a flat at 34 Montague Square and the original Apple Corps was at 95 Wigmore St before moving to the corner of Paddington St and Baker St.
Visit BEIGE at 44 New Cavendish St, for some retail therapy, where you can revel in clothes by top plus size designers, including Marina Rinaldi, Elena Miro and Per Te By Kriza. If you are looking for a more tailored business look our City Branch is just two stops on the tube from Bond St opposite Holborn tube station. Should you be staying north or west of New Cavendish St, you might also like to pop into our North London store. Each BEIGE branch offers a unique experience. Just off Mancheste Square is Spanish Place where you will find the salon of Eve Lom the world renowned beauty expert. Just off George St is Chiltern St where you will find specialist shoe shops such as Crispin's, Mangus, and Totally.